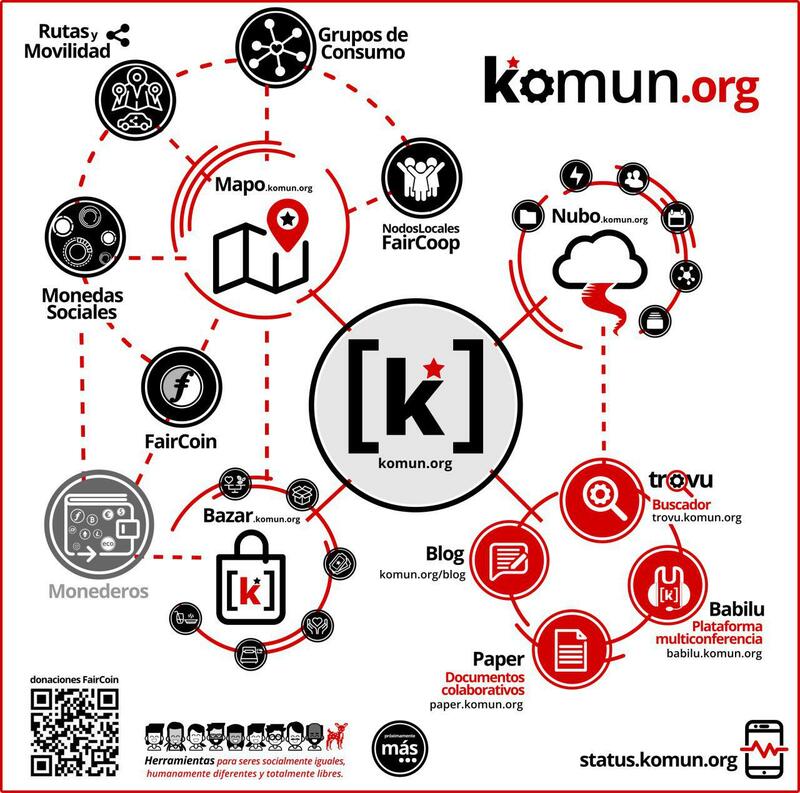 The Komun Mapo is a collaborative map which gives a global overview of various initiatives which strive towards a Commons Economy: places and services which accept alternative currencies, FairCoin, Points of Exchange, local nodes, social currencies, eco-networks, food groups, fair B&Bs, product routes and shared vehicles... Visit our main page! Search, find, share and add yourself! Contribute to generate alternatives which transform our surroundings through the Integral Revolution.